Phillip Brandon’s story begins with a jazz loving father who took him to his first concert (George Benson), and a mother who backed up Ray Charles as a Raelette. Brandon originally did not think or particularly want his story to involve music – although music remained in his life after leaving Los Angeles to attend college at Morehouse. Brandon earned a degree in marketing, but he attended the historic school on a partial scholarship requiring him to tour with the glee club. That group sang spirituals and classical music. Acting joined music as a part of Brandon’s story after he graduated from Morehouse. Singing in groups led to opportunities to act in musicals ranging from “The Lion King” to “The Color Purple” and most recently a show about the life of Be Be Winans titled “Born For This: The Musical.” Additionally, Brandon served eight years as the narrator for the progressive rock band Trans-Siberian Orchestra. All of this left Brandon well prepared for continuation of his story as a solo singer with the pending release of The Story Begins, a very good album of eight originals and a cover of Luther Vandross’ “Wait for Love.” The project is set to drop on Oct. 20. The Story Begins is an unabashedly analog project because of Brandon’s an affinity for soul performers from the 1970s such as Earth, Wind & Fire, the O’Jays, Donny Hathaway and contemporary performers, such as Gregory Porter, who also draw inspiration from that era. The self-aware Brandon notes that he’s a big man with a big baritone who spent years acting in musicals, singing spirituals and collaborating on rock operas. The Story Begins contains many highlights. Although songs such as the wedding ballad “The Promise” are ideally suited for radio, there is not a weak cut on this album. But let’s begin with “The Promise.” Brandon drew inspiration from the 37-year union between his parents and witnessing the weddings of so many of his friends. This ballad features tight vocal harmonies, rock inspired guitars and Brandon displaying the kind of range that draws on his experience singing a cappella as well in musical theatre. It is, if not the album’s best track, certainly among the most memorable. The piano and voice ballad “A Funny Thing Happened (On the Way to Goodbye)” uses image of a road trip as a metaphor for how people can save a relationship if they are willing to change course and take direction from a higher power. “Stay in the Moment” is a swinging ballad extols the virtues of appreciating and holding onto the here and now in a relationship. The cut that features saxophone flourishes and backing vocals from Brandon’s mother. 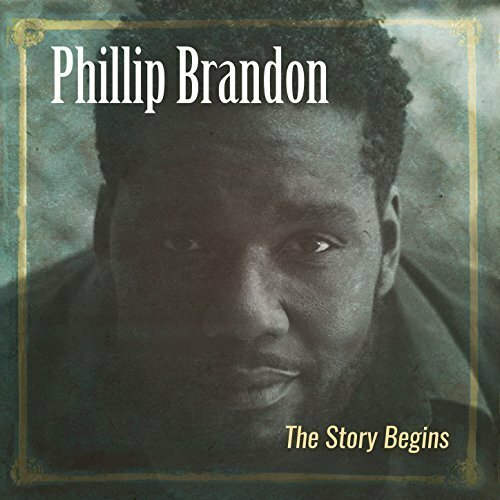 Phillip Brandon’s The Story Begins reveals that he is an artist not content to be contained by beats and tracks. His listeners will be richly rewarded by Brandon’s determination to remain true to his story and where it has led him. Highly Recommended.